Google has always tried to put in some inputs of the Chrome operating system in the windows 8 software. But, this has never let them to move aside from working around with their dedicated Linux operating system. We have seen this in the chrome book of HP’s 11 inches screen and 13 inches screen, but this time around its the another electronic giant Acer to build chrome books. The previous flaws that the chrome books pertained are now being rectified in the present Acer model. The Acer chrome book C720 will be an ultra sleek designed model that will be having a longer battery life and a good storage of memory. The Official head office of Acer in America, last day has announced the launch of the new chrome book of Acer C720. According to the confirmation of the announcement, the Acer C720 will be packed in with powerful micro architecture processor from Haswell. The reason for inputting such powerful processor is to give it a better and higher graded performance and to combat its low battery flaw that it had in the previous models. The chrome comes in with much lighter weight as compared to its earlier model, and for the first time the Chrome book will be available that will be supported with anti glare visuals. This will be a great advantage for the students, office goers as well as family people who carry and work with Chrome book even at outdoors and with all the functions and settings in built in it. Another unique asset has been confronted by the officials, and that is, the Acer 720 will come in with several layers of security scanner in built in it, which help the users to be relieved from the cyber crime related issues. The Chrome book previously had gone through quite a few dark patches. But this time around, the Google Chrome was quick to deliver their best. For this, they made all possible changes that they would need to do to make their system look impressive and can take up all the loads of heavy work with easy and comfort. Keeping this in mind, the third generation Chrome books are way lighter and faster in performance and use. The battery standing time has also seen a huge betterment from the previous hick-ups that it held in its kitty. With the new Acer Chrome book, the surfing of games, research and other amenities will not take much time to load, the reason for this is that the third generation Chrome book only takes 7 minute seconds to boot up. If you are thinking that it will degrade the performance if one is going for sleep mode, then you can be rest assure, as its highly powerful processor only takes just a click to load in all the data reserved. With micro architecture Haswell powered battery not only enhanced the performance but also speed up the battery intensity level. With all the normal work in the device, one can easily cover up at least 8 to 8.5 hours of durable battery on their way. One of the biggest advantages of the Chrome book is that it gets easily updated with the latest upcoming versions. There are various levels of security protectors which have been installed in the newly released Acer C720. The system comes in with a copywriter Boot that will help to protect and kill online threats and malware from corrupting. For multiple users’ collaboration, there are several account storage data. 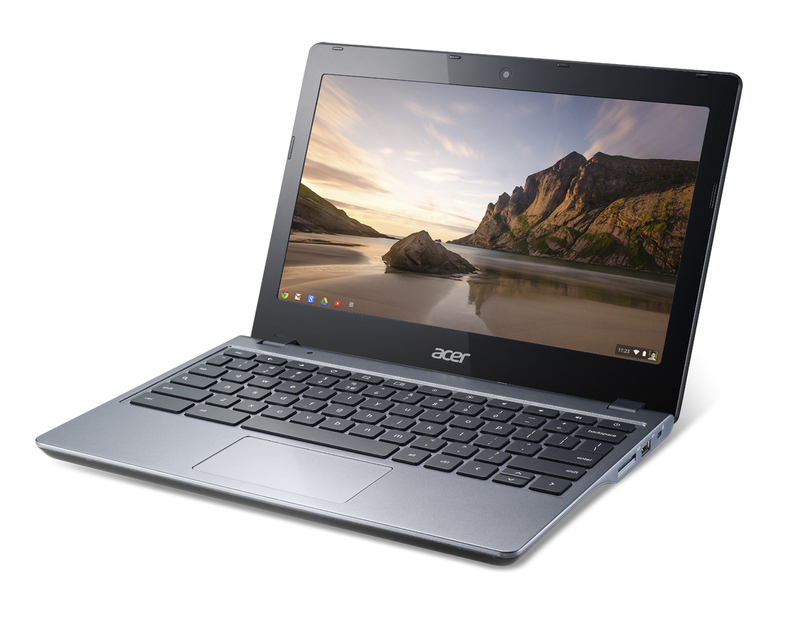 The latest released Acer C720 weighs 30 times lesser than that of the previous chrome book models. According to the data it is only 0.75 in thickness. The third generation chrome book comes in with an explicit keyboard; this would of huge help for official and school purposes for creating spreadsheets and documents. The 11.6 inches screen chrome book provides in quite a comfortable visibility of HD visuals through images, website browsing with a resolution of 1366 x 768. The Acer chrome book comes in with highly powerful HD webcam, that makes images look clear and crispy and with perfect balance of color levels. The Acer C720 will be available for pr order purchase through the online sites like Amazon and best buy. The device will be available with a 4GB RAM and SSD of 16GB. At present it will be available only in American market at a price of $249.99.